The end of each year always tends to be a blur, due to either the holidays, work, or both and this year was no exception. I didn’t hike as much in December as I would have liked because of work travel and also the unusually terrible weather Georgia experienced. In the photos below, you will literally see the 5 sunny days we had between Thanksgiving and Christmas. But I will say I made the most of my holiday weekends and 4 of the hikes listed below were done on holidays weekends. 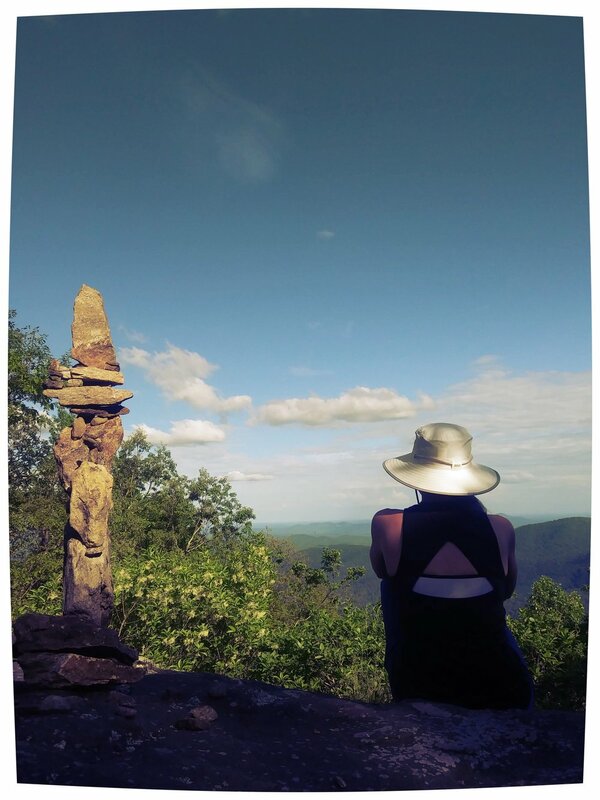 Some people prioritize food and gifts; I prioritize hiking. Plus, if you hike before a large holiday mea, you can then eat as much as you want. 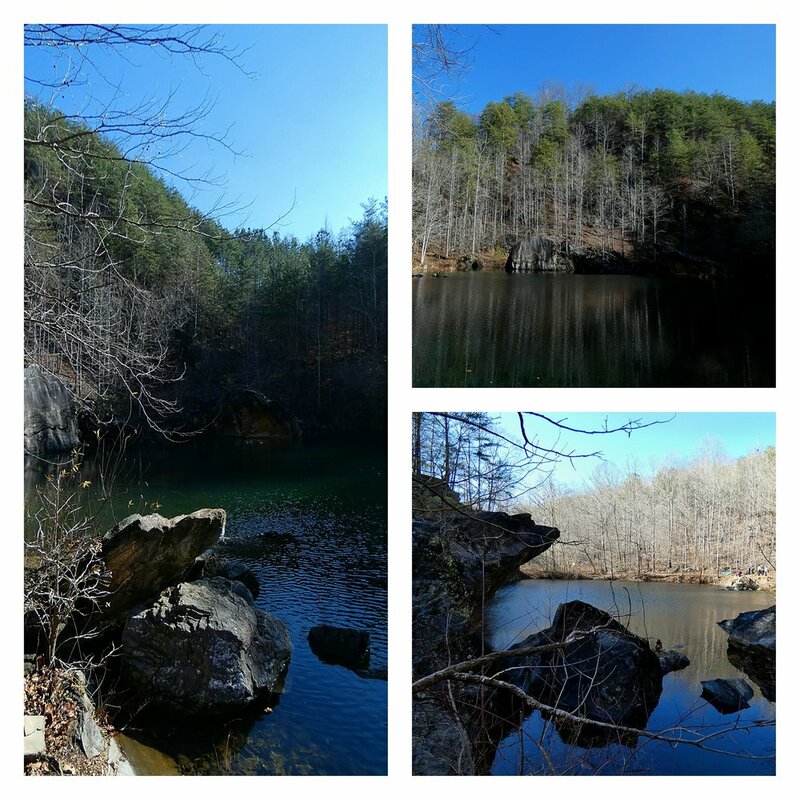 And these weren’t the only hikes I did recently, but they were the highlight of my year’s end. Poor Dockery Lake got left out, even though I went back there with some hiking friends and enjoyed the winter views. It was such a cold, miserable day, I hardly took my gloves off to take pictures. So without further rambling, I’ll leave you with a brief summary and some photos. Hopefully, this may give someone some ideas of places to visit in 2019. I hadn’t been to Mt. 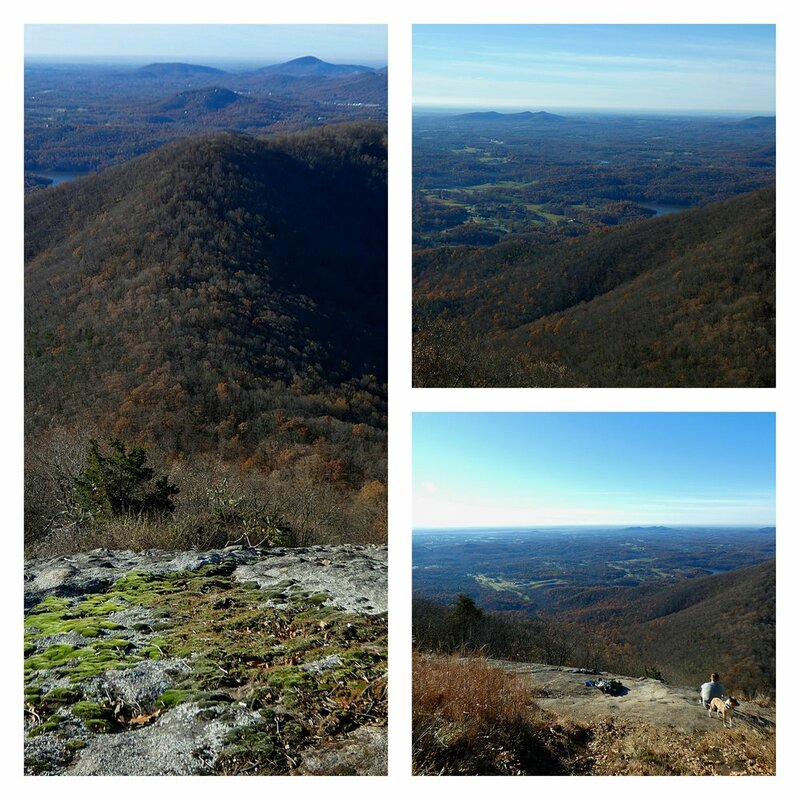 Yonah in a few years, so I thought Thanksgiving was as good a day as any to revisit it. 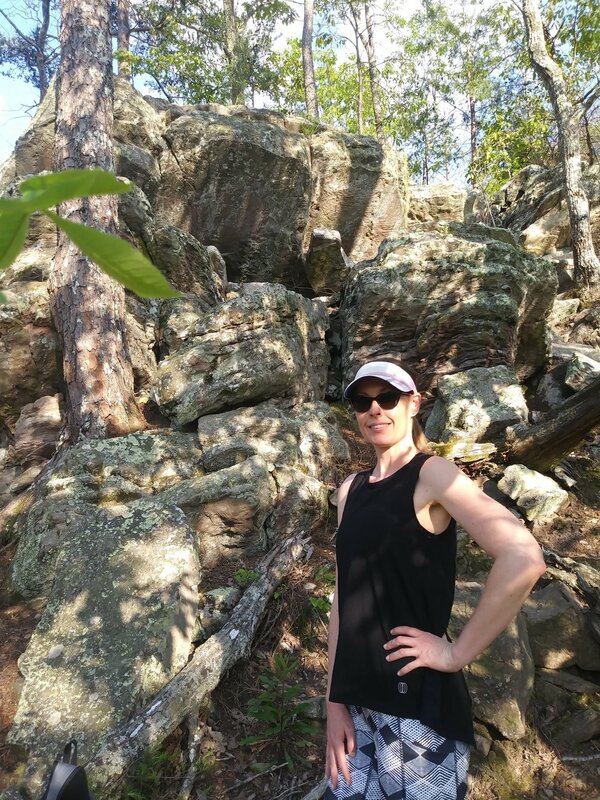 It’s known to be a fairly challenging hike and I had limited time before our actual Thanksgiving dinner, so I figured I would hike really fast and get a good workout. I arrived very early, just after sunrise, so I was mostly alone on the trail going up. And yes, it’s still a challenging hike and a great workout. It was a absolutely beautiful clear day and any stress from cooking vegan Thanksgiving food for 8+ people melted away. That is one of the things I like most about hiking; it makes me feel accomplished no matter what else is going on. I was then bac home by lunch time to finish my food preparations. 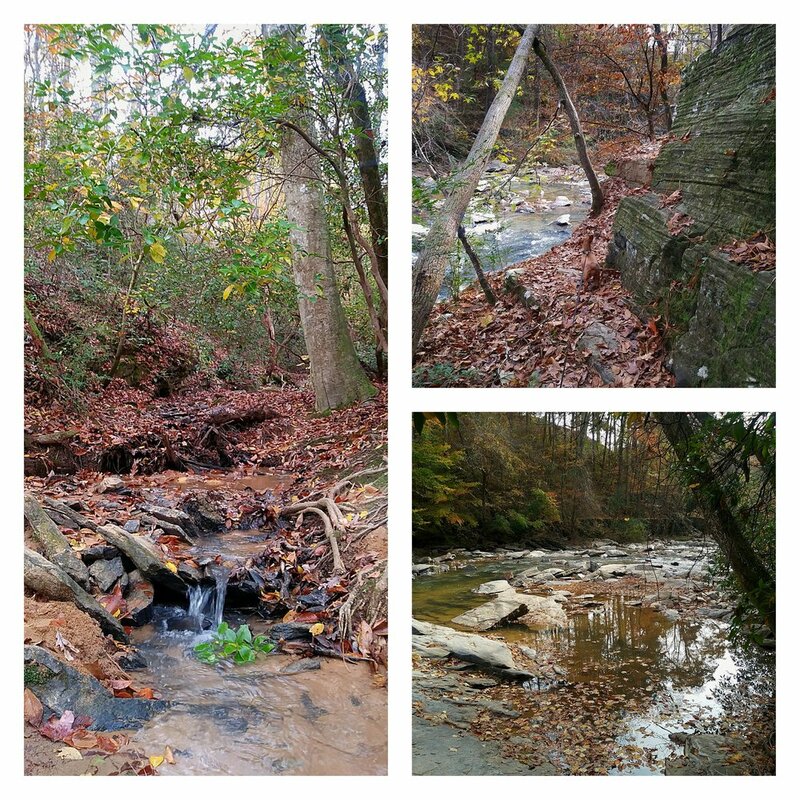 Despite Sope Creek’s conveniently suburban location amidst the McMansion’s of Cobb County, I’d never been there until recently. 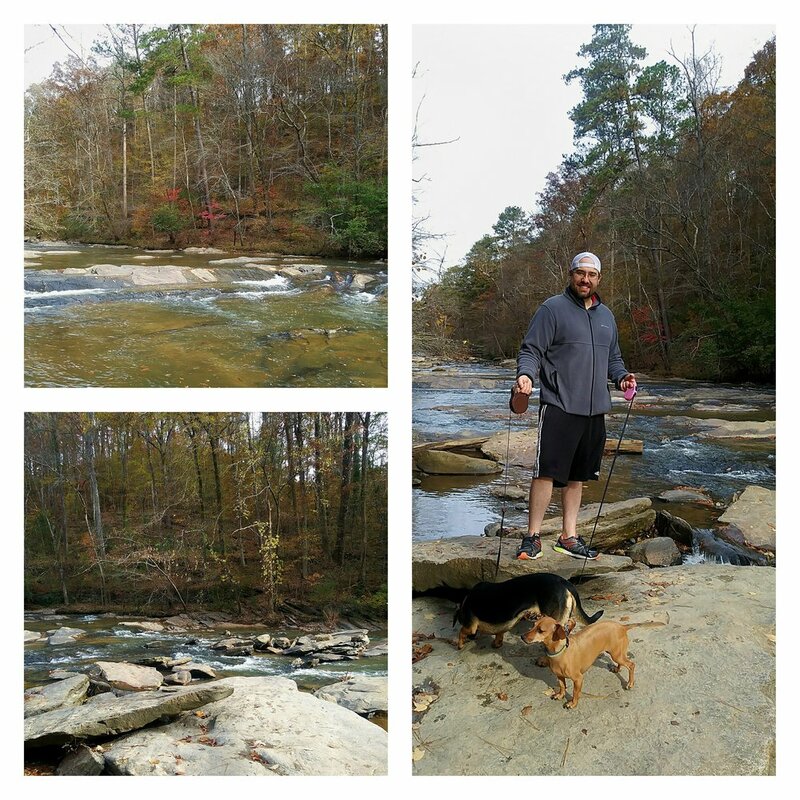 James and I took the pups for our day after Thanksgiving “opt outside” hike. It was a blustery, overcast day, but the foliage colors were still very vibrant in this area. Strange to think, some of the best foliage I saw in 2018 was in the suburbs. 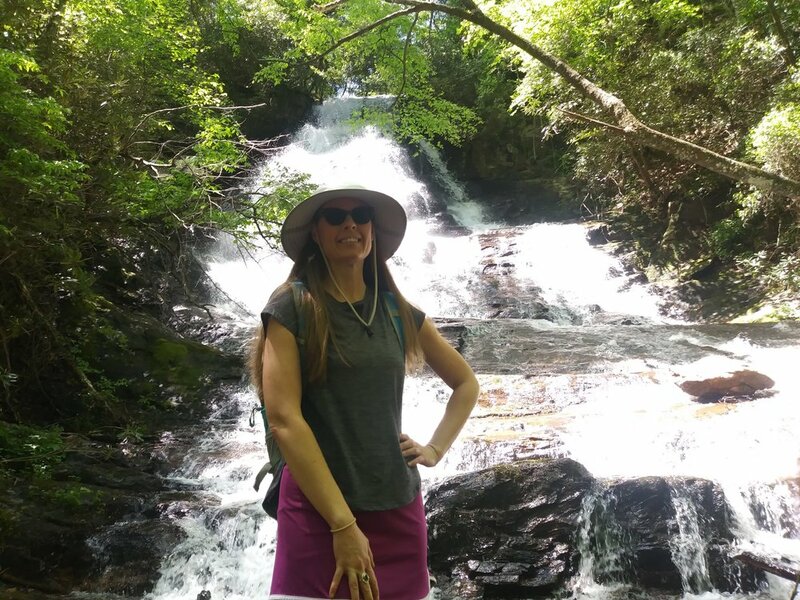 Sope Creek is part of the Chattahoochee River National Recreation Area, so under typical circumstances a fee is required. Should you visit during the current government shutdown, please be very conscious of leaving no trace and being respectful of the environment. 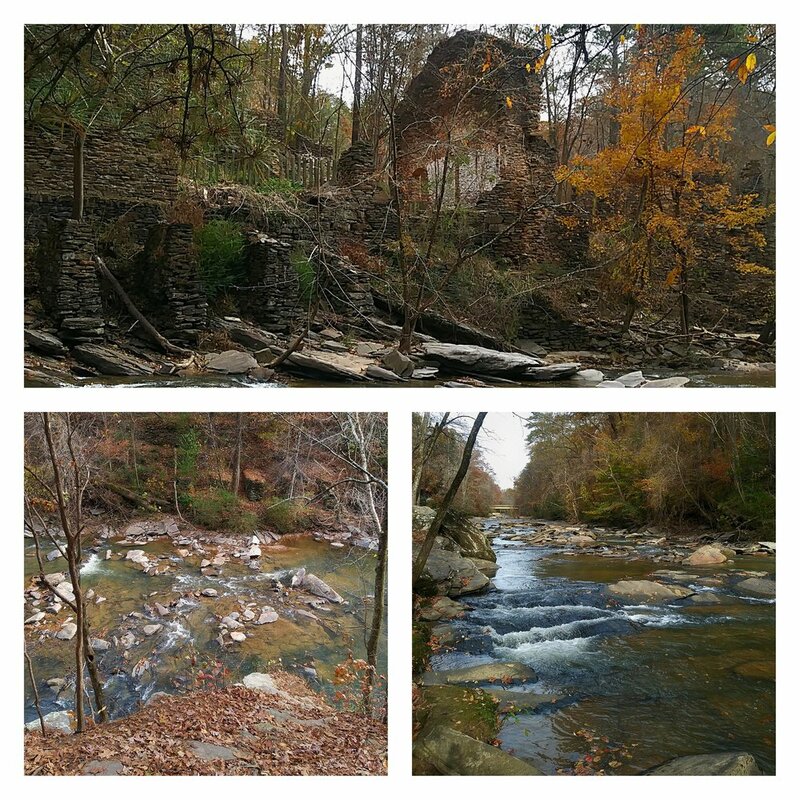 Sope Creek is a fairly leisurely trail, featuring mill ruins, a tributary of the Chattahoochee, and a small lake. In case you haven’t noticed, fire towers are always on my radar. 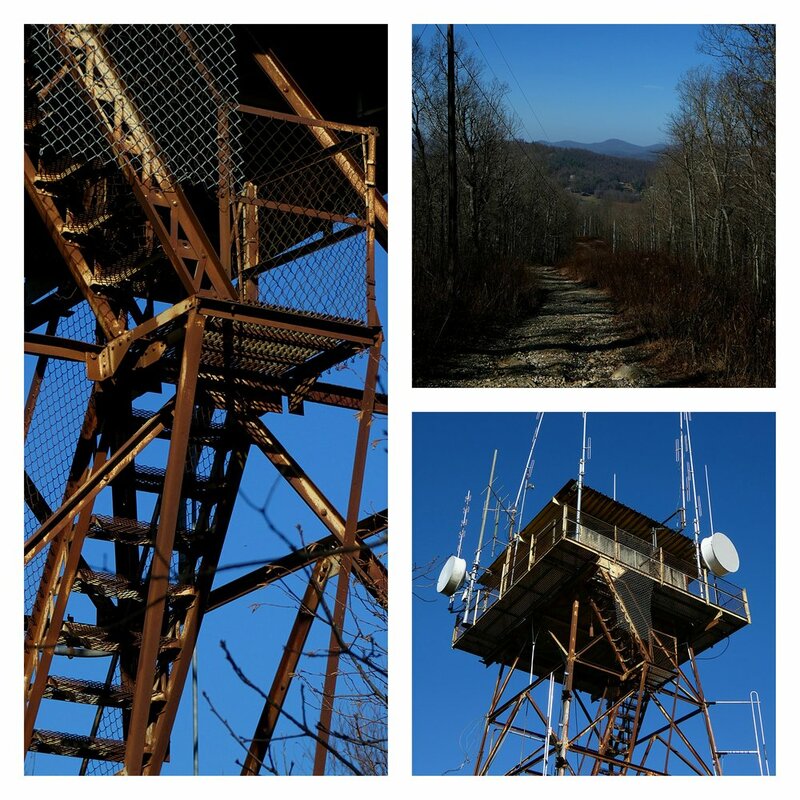 During the past year of hiking near Woody Gap numerous times, I noticed a fire tower on the map. 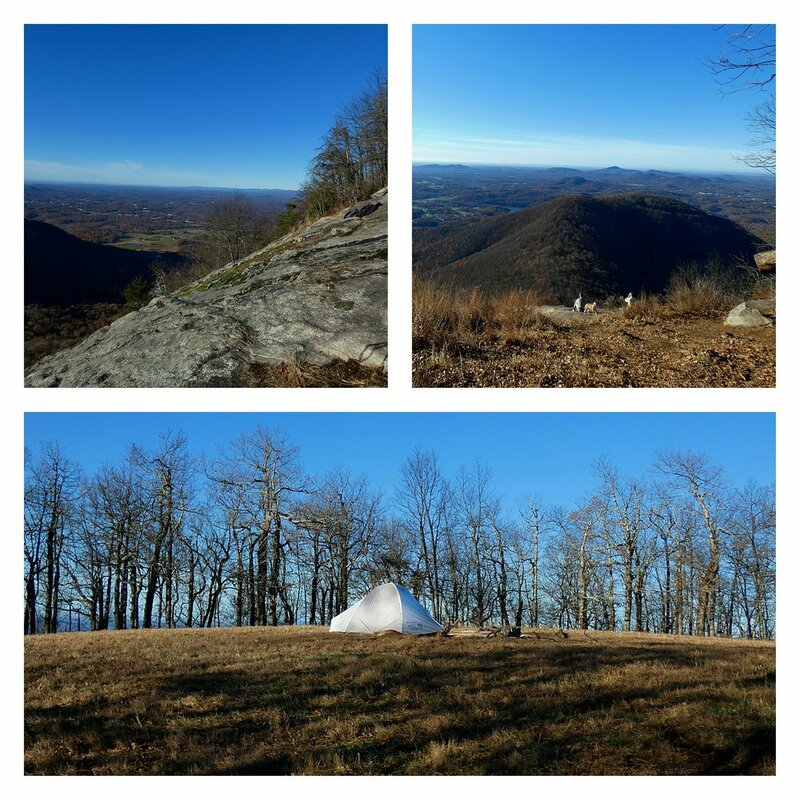 It’s near the Appalachian Trail, but not accessible from the AT from what I can tell. After gathering some info from other people, as there isn’t much online about this tower, James and I finally decided to visit one day. We had been at Christmas brunch in Gainesville with my sister-in-law and went up to Dahlonega afterwards. I mean, everyone goes from brunch at the country club to seeking out sketchy fire towers, right? There’s not really much “hiking” involved to reach the Black Mountain tower; it’s really just walking up a very steep gravel forest service road. 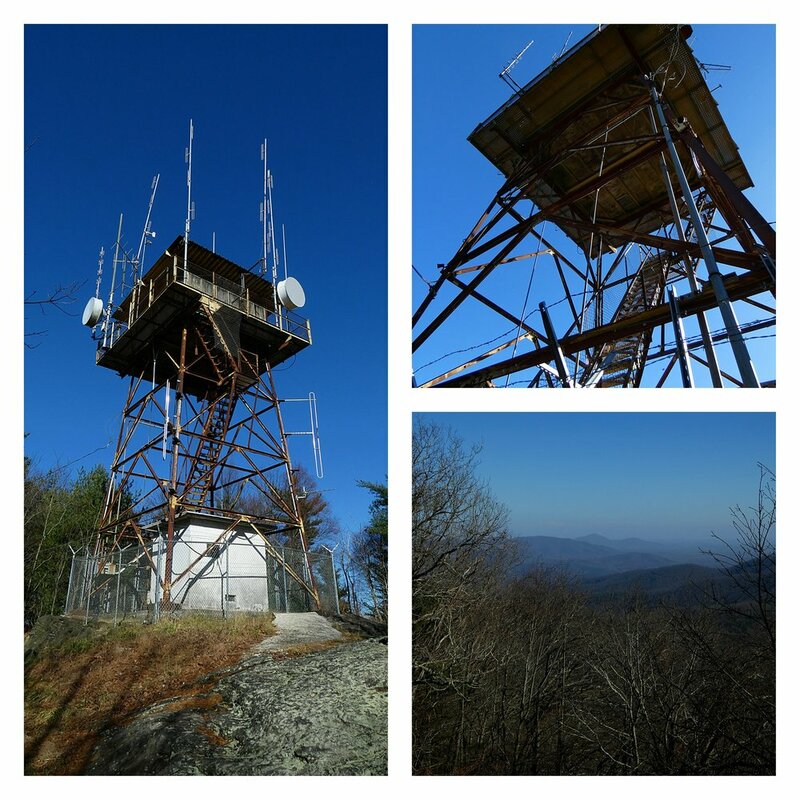 There are some pretty views along the way an at the top, but the tower cabin is not accessible and appears to be in use for telecommunication purposes. Unfortunately, it seems some folks choose to go up here to drink and party because there was a lot of glass and garbage laying around. I found the whole atmosphere to be kind of creepy so we didn’t stay long. 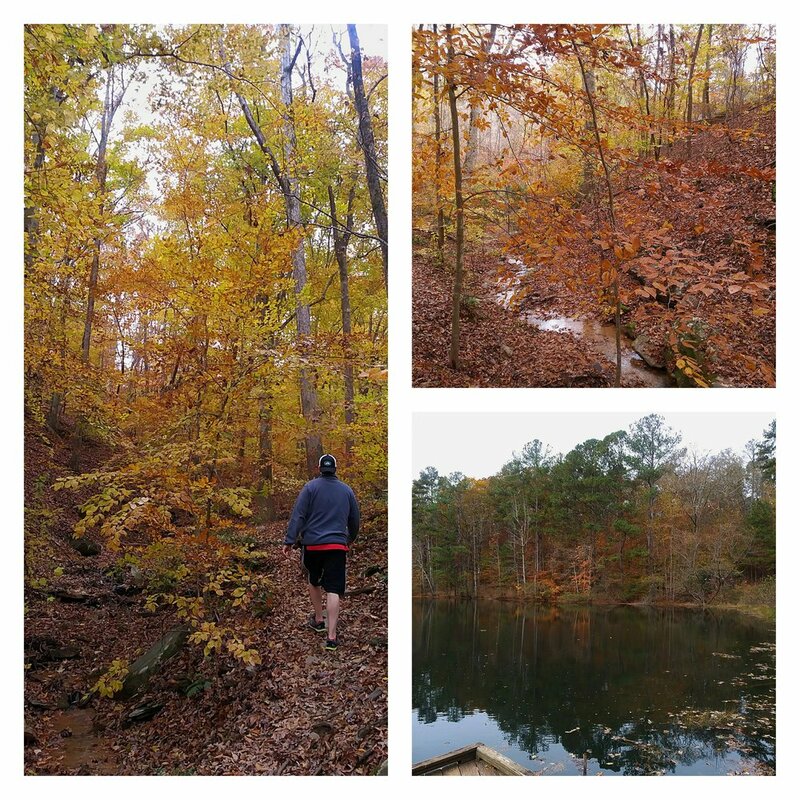 The Pine Log Creek Trail was definitely a highlight of my year’s end. This is another one I’d driven by numerous times, but never been to. James and I were in Canton the weekend before Christmas, so we popped up to Pine Log on the same day, since it’s located just over the county line in Bartow. We had a little group of friends and new acquaintances from Girls Who Hike with us as well. 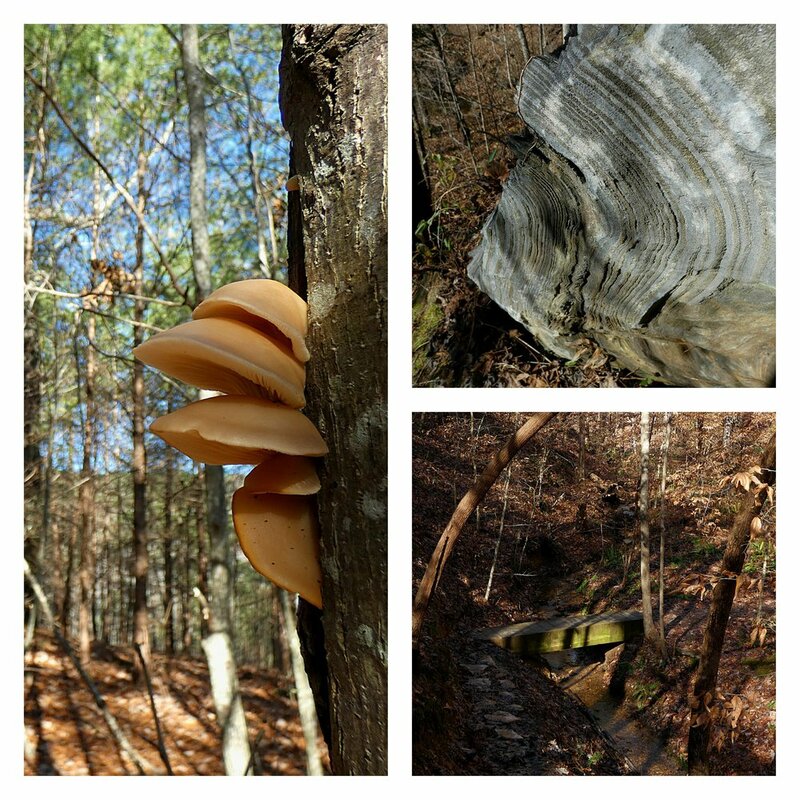 Pine Log was a little bit more challenging and a little more mileage than I anticipated, but it was a beautiful hike. 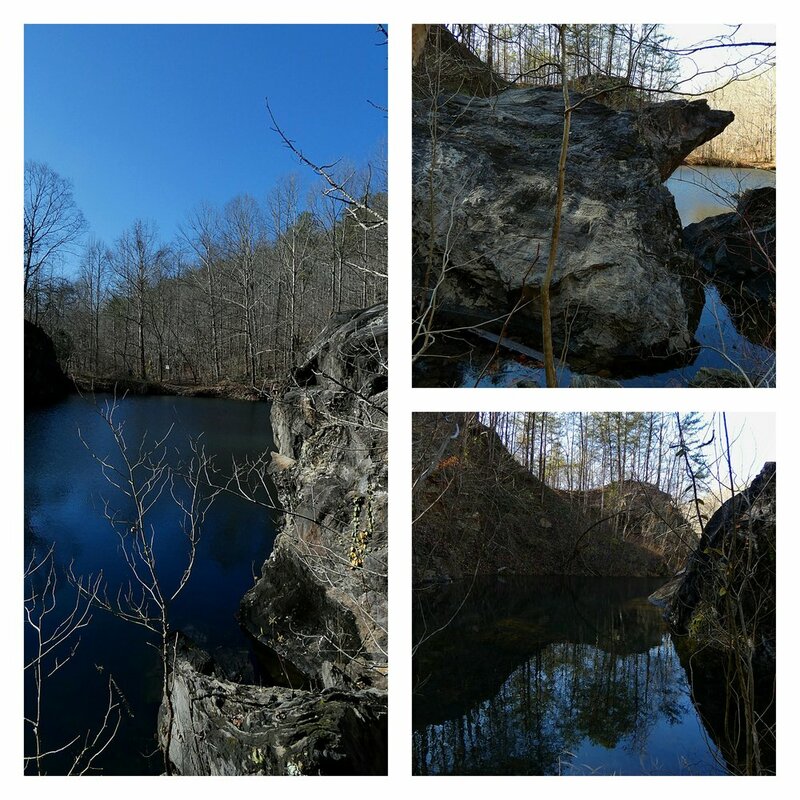 It has a little bit of everything- a nice creek, interesting rock formations, a quarry, and some limited views of the small, rolling mountains nearby. For being in such an accessible location, it felt much further away. And finally, my 100th hike of the year! 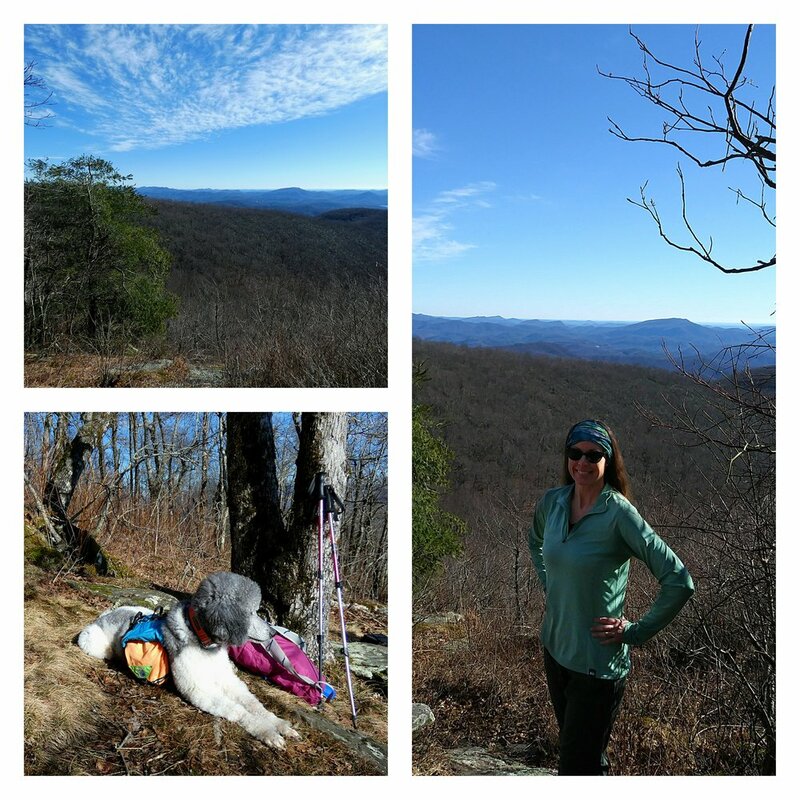 On Christmas Eve I met up with some more ladies (and a amazing dog) from Girls Who Hike and we went up to the far reaches of Hiawassee to hike the Appalachian Trail from Dicks Creek Gap to Powell Mountain. I can’t take credit for this one, as someone else planned it. But that is a perk of hiking with other people; you don’t always have to plan everything out yourself. I hadn’t been to this section of the AT yet, but I’ll definitely be back. The Hiawassee area is so beautiful. 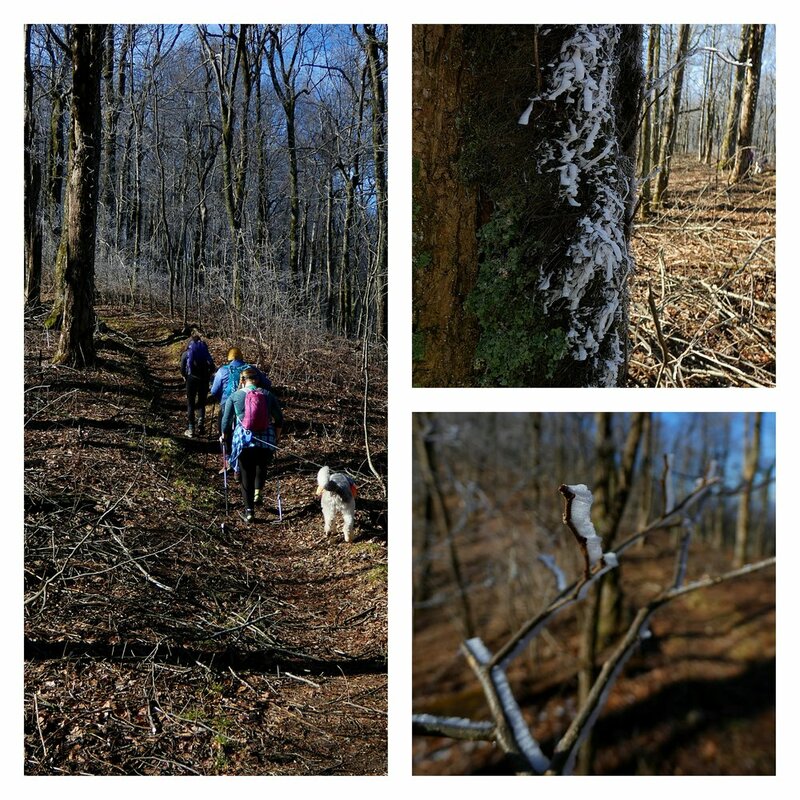 It was cold and we saw some ice on the trees as we reached high elevations. 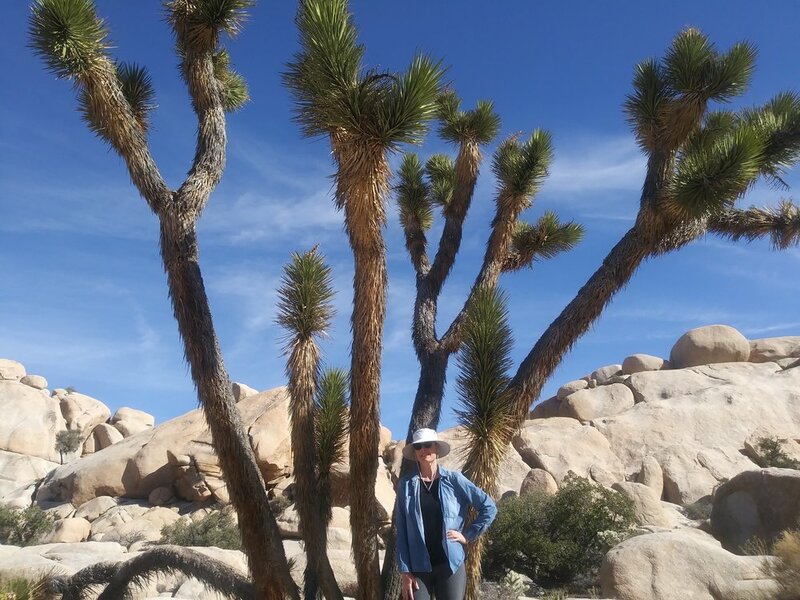 This was a challenging hike, consistently up hill, but again, you hike and burn calories, then eat whatever (vegan) food you desire on Christmas eve. 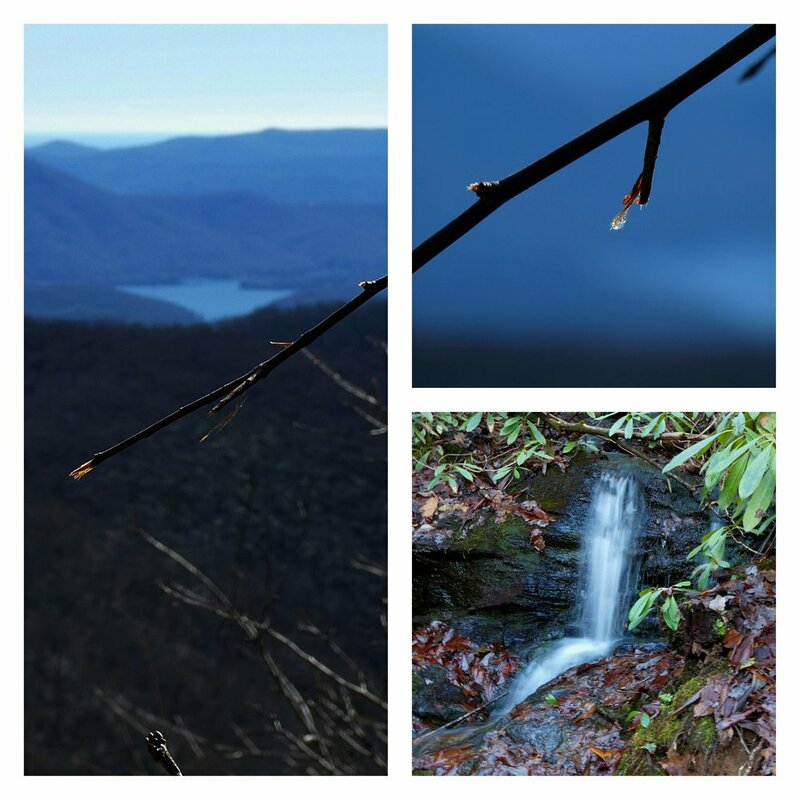 The Powell Mountain vista provided a beautiful view and we also saw a small waterfall alongside the trail. This ended up being my last hike of 2018 but I’ve since started out the new year pretty strong and am grateful for all the places and people I came to know through my 2018 adventures.